This pack contains 60 sleeves. These sleeves are oversized. 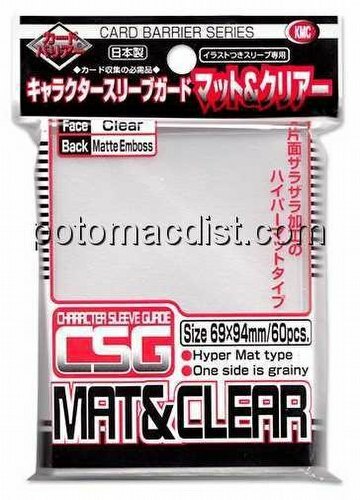 A standard size KMC sleeve will fit inside a Character Guard Matte Clear protector adding a second layer of protection for a card. There is NO scroll artwork on these sleeves - the backs have a clear matte (non-glare) finish. Sleeves are 94 mm x 69 mm and are made using .12mm material.